House Speaker Paul Ryan said Monday night that he opposes a resolution circulating among House Democrats that would censure President Donald Trump for his reaction to the white nationalist-fueled protests in Charlottesville, Va. last week, calling it nothing more than a partisan "food fight" and "hack-fest" that would further divide the country. But the GOP House leader also used his strongest language yet in condemning Trump's reaction to the violence, saying the president's language at a press conference last Tuesday was "wrong." "It was not only morally ambiguous, it was equivocating," Ryan said Monday night during a CNN town hall in Wisconsin. "It was wrong." 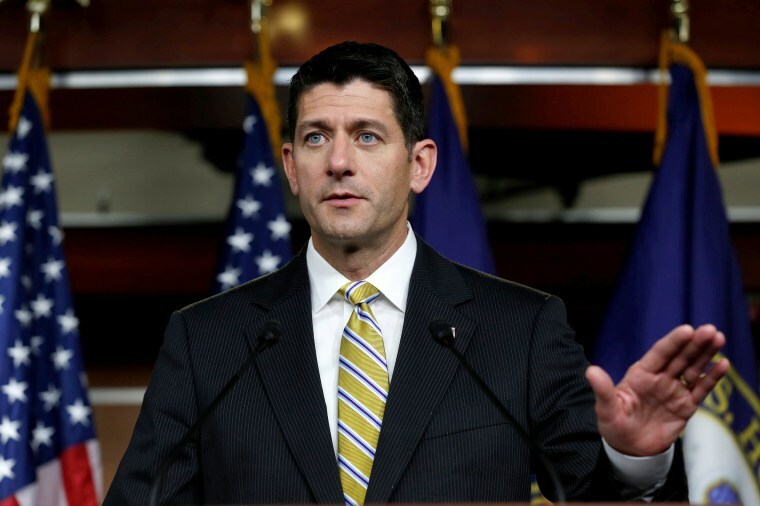 Ryan's previous statements, including a Facebook statement Monday morning, said "there is no moral relativism when it comes to neo-Nazis" but he had failed to directly criticize the president. Ryan said that the statement Trump delivered last Monday was "pitch perfect" but that he "messed up" with his remarks on Tuesday during a news conference that was supposed to be about infrastructure. Trump said then that some of the marchers were "fine people" and that there are "many sides" to blame. "I think he needs to do better," Ryan said of the president. Ryan, however, would not go so far as to support a censure of Trump, saying it would be "counter-productive." "What good does that do to unify this country?" Ryan rhetorically asked in response to a question about the idea from audience-member Rabbi Dena Feingold, the sister of former Wisconsin Democratic Senator Russ Feingold. Instead of censuring Trump, Ryan said "all of us have to try to do better" to address racism.